It appears that now, after all his promises and declarations, Benny Gantz would rather be defense minister than chair the opposition. (April 3, 2019 / JNS) The right-wing bloc is stabilizing in the polls, and Likud officials want to move on to the next objective of making Likud bigger than Blue and White, contrary to the trend the polls have indicated throughout the campaign. But in contrast to the previous election, Netanyahu is entering the home stretch with a hand tied behind his back. 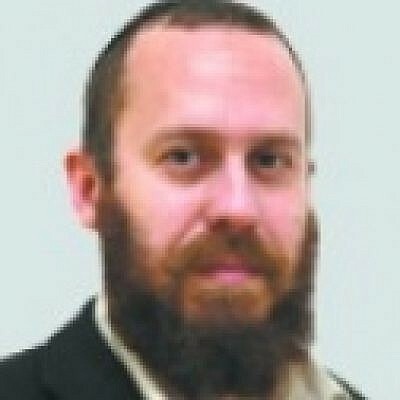 In the 2015 election, Netanyahu carved out a large chunk from many right-wing parties, mainly from Habayit Hayehudi, led at the time by Naftali Bennett, while this time he must be exceedingly shrewd and cautious to accomplish the same feat. A party that fails to cross the electoral threshold could jeopardize his future, and he would be cutting off his nose despite his face. This time, therefore, his messages are vaguer and more general in nature. From a razor-sharp campaign in which he called on right-wing voters to vote Likud en masse because the Arabs were voting in droves—warning that the threat of losing power was more imminent than ever before—Netanyahu has transitioned to noting the need for steadfastness against the president or problems pertaining to forming the next coalition within the context of a multitude of right-wing parties. These messages will not rouse the masses to vote Likud, but perhaps one or two mandates are necessary to overtake Gantz and Lapid before the finish line. When Netanyahu says the smaller parties will make things more difficult for him, he is seeking to mobilize Likud voters ahead of election day on April 9, but perhaps he is also preparing the explanation for what follows—a possible unity deal with Benny Gantz, despite everything. His considerable efforts notwithstanding, Gantz has failed to persuade that he will represent the opposition if he loses the election. It appears that now, too, after all his promises and declarations, Gantz would rather be defense minister than chair the opposition. If this happens, he alone will be coming with his Resilience Party, without Yesh Atid and Moshe Ya’alon’s Telem Party. Gantz can deny it until he’s blue in the face, but this scenario is the most feasible within the political sphere—not just within Labor and Likud, but Blue and White as well, within Lapid’s circle, and also those close to Gantz himself. We can also venture, cautiously, that being appointed defense minister will shrink Gantz down to size, to the place he was before he announced his candidacy, a far more natural place for him than where he is now, vying for the premiership. But if Netanyahu wants anything post-election, it is the person who can give him the most breathing room to cope with the attorney general and perhaps even the courts, if and when the time comes. Indeed, the parties in the right-wing bloc have already said they wouldn’t allow Netanyahu to serve under indictment, but what they say before elections won’t necessarily dictate what they do after.